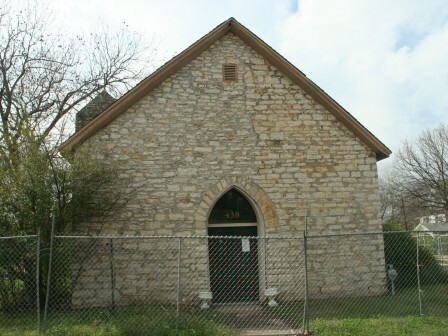 This Belton structure, originally known as Old St. Luke’s Episcopal Church, is the oldest standing church in Bell County. The building, constructed of limestone rubble masonry, was finished in 1874. A stone bell tower was added in 1956. The church served as a place for refuge and solace during World War II. The church is structurally unsound: The north and south walls are 10 inches out of plumb and the face stone of the walls has separated from the inner layer. The foundation has shifted and settled during the past 140 years, which has contributed to the building’s distress.